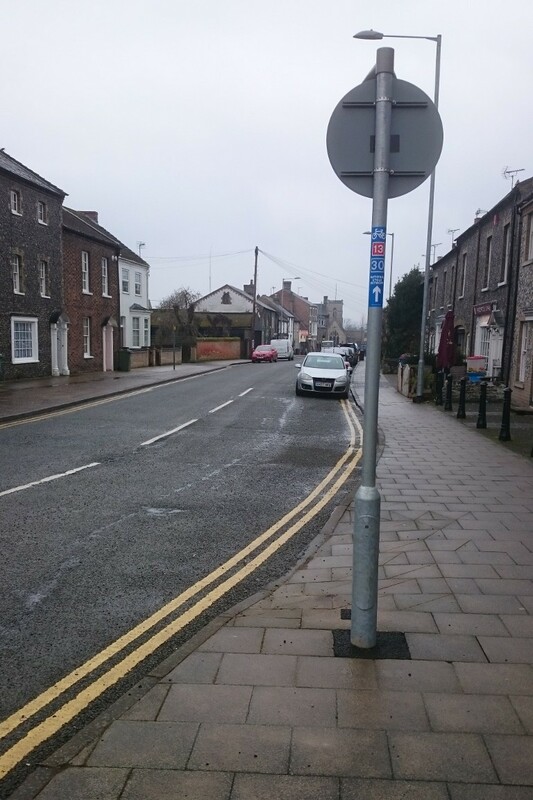 On my way to a meeting I reinstated a sign on Castle Street that had been removed when a roundabout sign had been replaced. 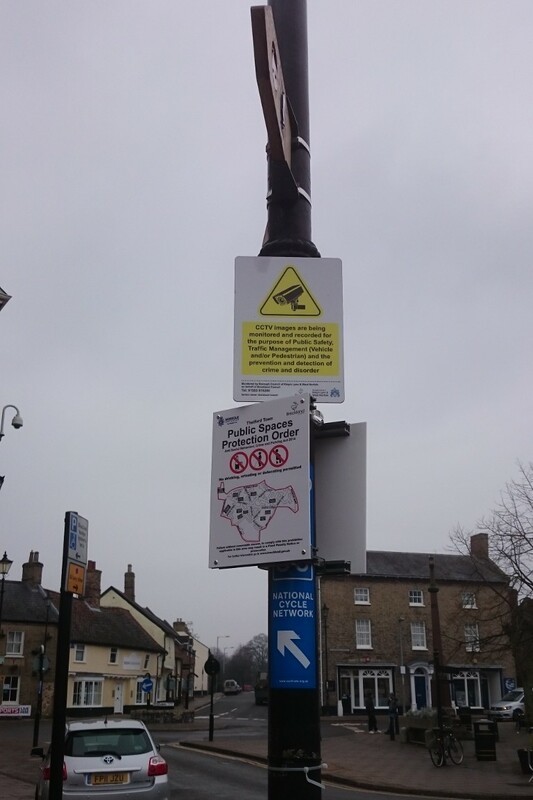 I also noticed that some new Public Spaces Protection Order notices had been put up over another Sustrans sign outside the Post Office. I’ve asked Breckland Council if they can be moved. 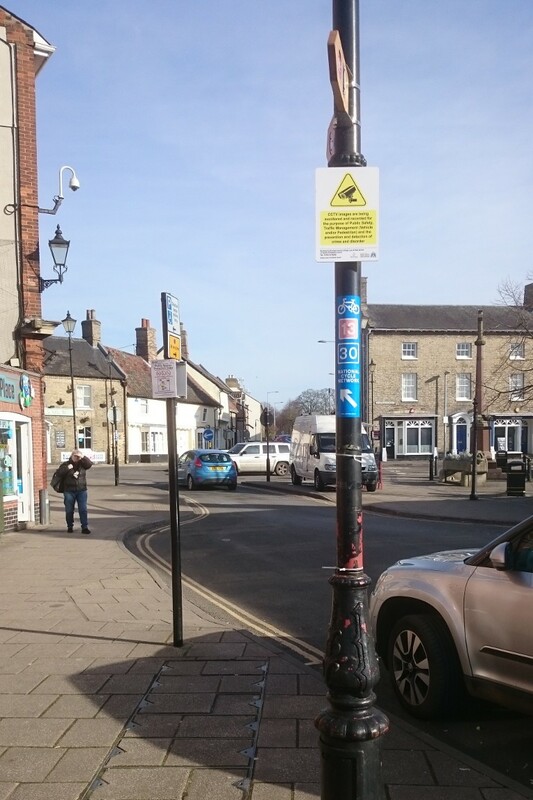 Update 24/02/2018: That was quick work from Breckland — the signs have already been moved to a neighbouring post.